This presentation has been prepared to assist those sitting the science paper of the Membership Examination. 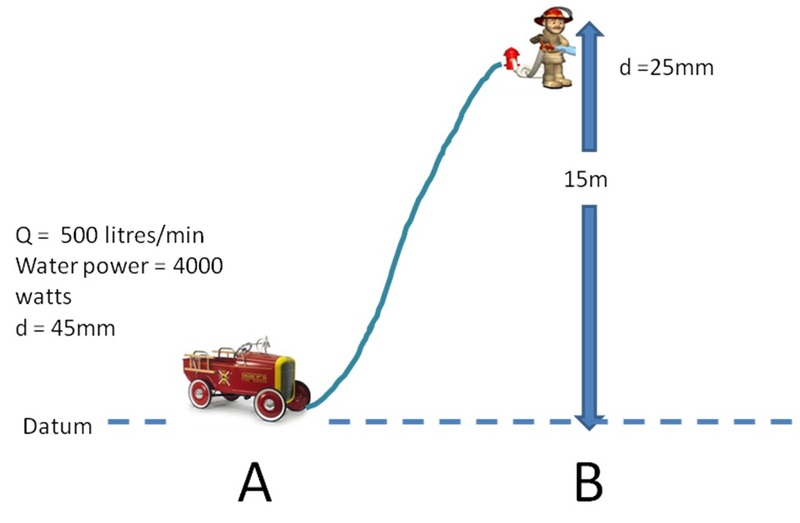 We will dispel the mystery surrounding Bernoulli’s Theorem in an easily understood manner and then to show how to apply this to previous examination questions by giving model answers. These can be interchanged but unless energy is taken out (e.g. turbulence or friction) or energy is put in (e.g. pump) then the total energy must be constant. To use Bernoulli’s theorem in calculations it is important to have all three forms of energy in the same units. 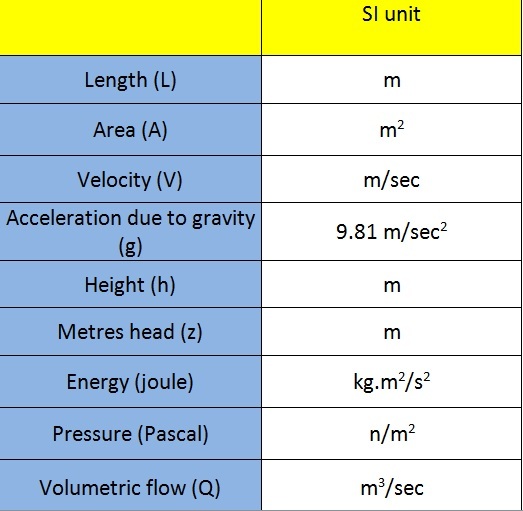 The Systems International (SI) unit for energy is the Joule (kg.m2/s2) however; when using Bernoulli the energy is expressed per unit mass or per unit volume. 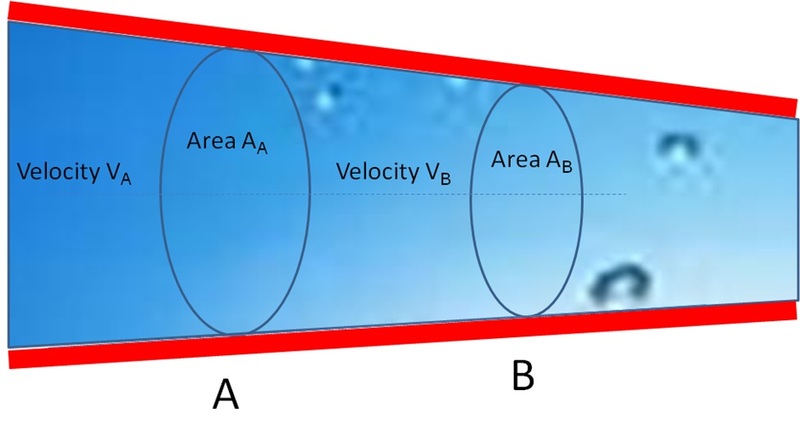 Therefore, there are different forms of the Bernoulli Equation depending on whether we are working with either joules per kilogram (j/kg) or joules per meter cubed (j/m3). In order to simplify the matter I am only going to use the Bernoulli Equation that expresses the energy in the form of joules per metre3 (j/m3) which I believe is easier to apply to IFE examination questions. 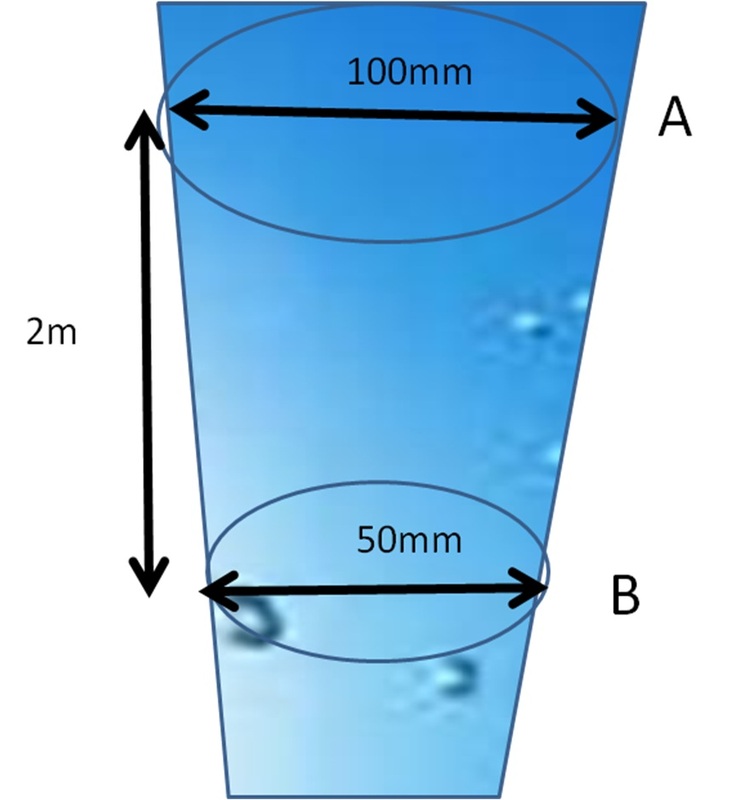 When considering Bernoulli it is also very important to understand the continuity equation. This is due to the fact that in a closed system the rate of flow Q (m3 /sec) can be considered as constant. 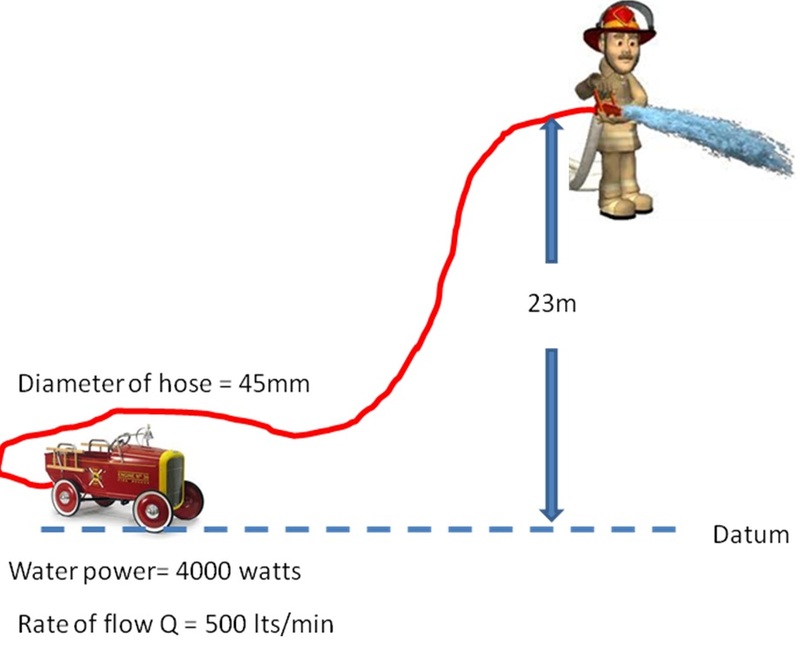 As the water flows down the pipe and it tapers out what you will find is that the waters velocity will reduce. 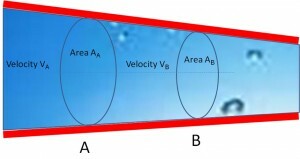 In other words as the area increases the velocity falls. This is a very important relationship when attempting Bernoulli calculations as will be shown later. Before we attempt questions involving the use of these equations, I would like to give you a few tips to ensure mistakes are not made. Produce a sketch and enter all the details given in the question first. This will make understanding the problem much clearer. Always convert ALL units to SI units before attempting to answer the question. Many candidates make mistakes because they don’t convert the units and simply place the number in the formula. 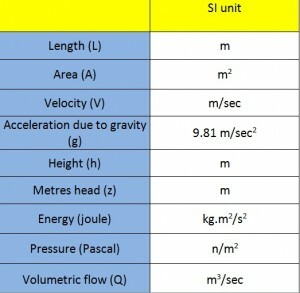 Here is a list of the most common units. You have to place a datum line which is where you are measuring the energies from. Now if this is a horizontal pipe you always put the datum in the centre of the pipe because in this way you have zero potential at both points. This is because the potential energy above and below the datum cancels out. Now if the situation is not in a horizontal pipe for example like this example. What you do is always place your datum line at the lowest point in the system. In this way only one of the points will have potential energy and it makes it easier to answer the question. Attempt the question below and when completed you can view the model answer. A pump is pumping 2m3/min of water the surface of which is 5m below the pump inlet. At the outlet the pump has a diameter of 100mm and at this point the pressure is 8 Bar. 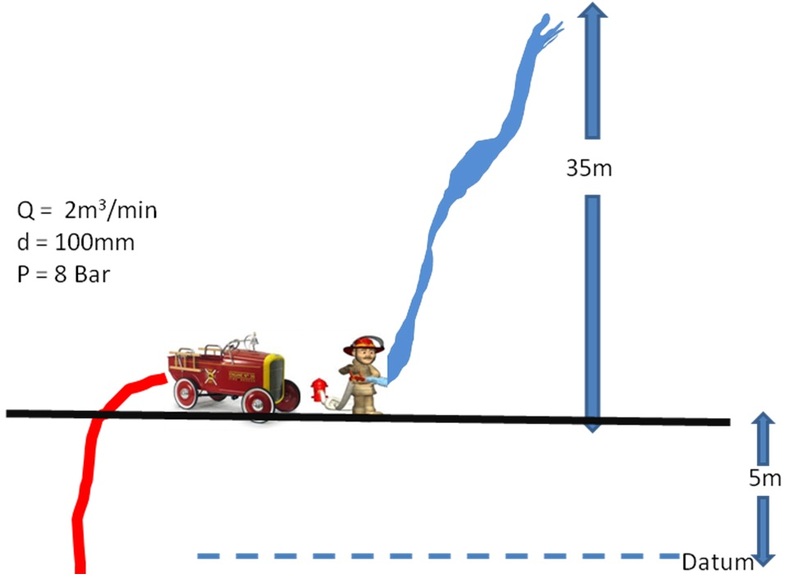 From the nozzle (which is at the same level as the pump outlet) the jet rises 35m. 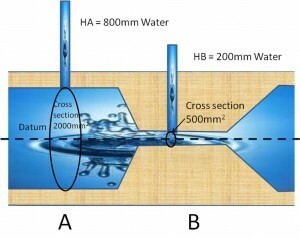 Water is flowing horizontally through a 250mm diameter pipe and into a constriction of 100mm diameter. The pressure difference is measured as 23.5mm of mercury. Using Bernoulli’s theorem, calculate the rate of flow. 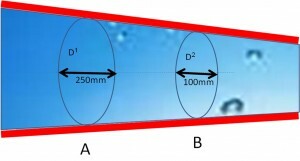 A foam generator consists of a horizontal tube of circular cross section which tapers from an input of 80mm internal diameter to 20mm diameter. 750 lts/min of concentrate (Density 1200 kg/m) is flowing through the generator and the pressure inlet is 12 Bar. 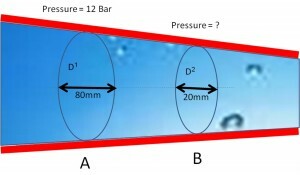 What is the pressure at the point where the diameter is 20mm? 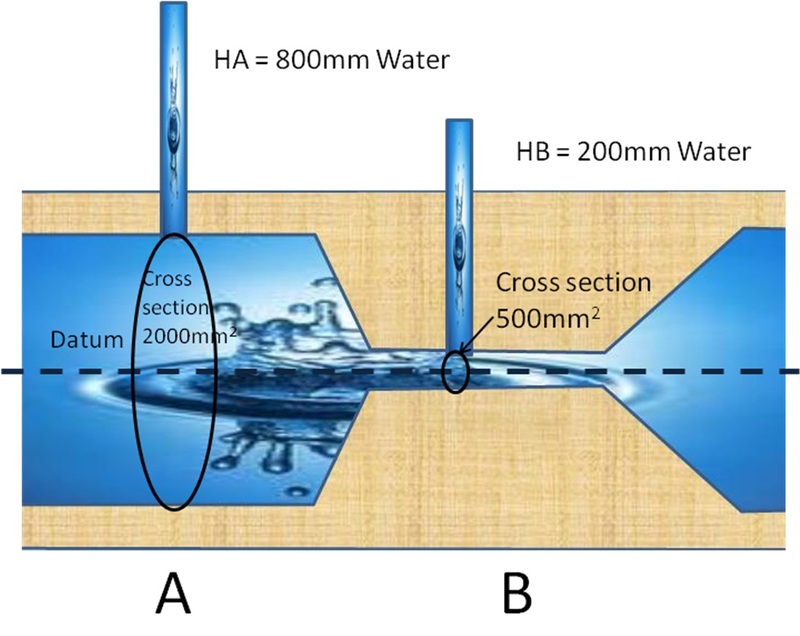 Water is flowing in a vertical tapering pipe 2 metres in length. 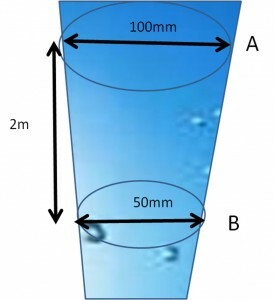 The top of the pipe is 100mm diameter and the bottom is 50mm diameter. 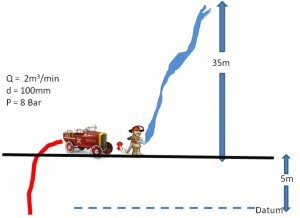 The quantity of water flowing is 1300 litres/minute. 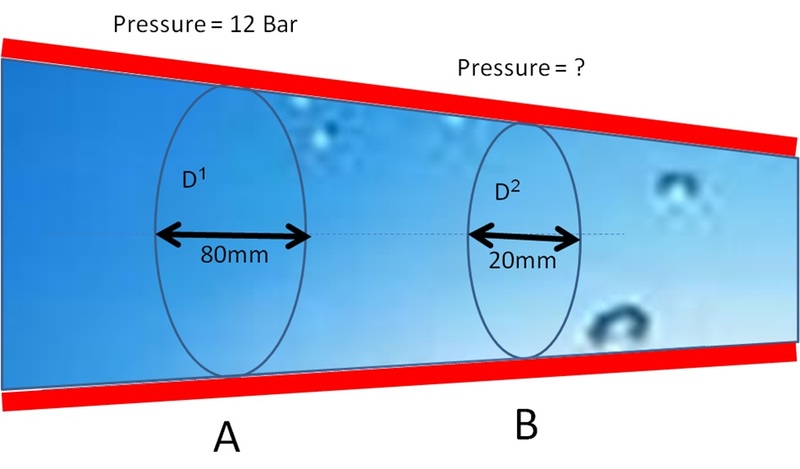 Calculate the pressure difference between the top and the bottom of the pipe? 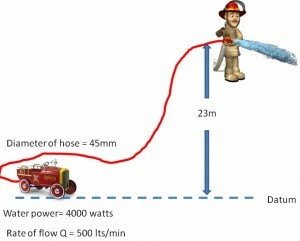 A pump supplies 4kw of energy to the water flowing through a 45mm hose. 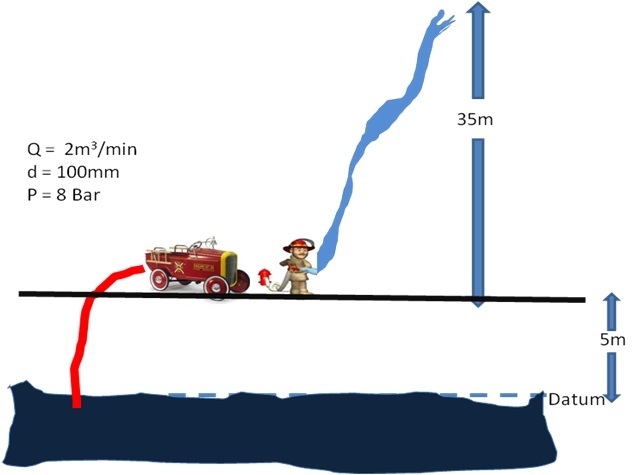 The water flows 15m vertically and through a 25mm branch at a rate of 500 litres/minute. Use Bernoulli’s theorem and find the pressure at the branch. 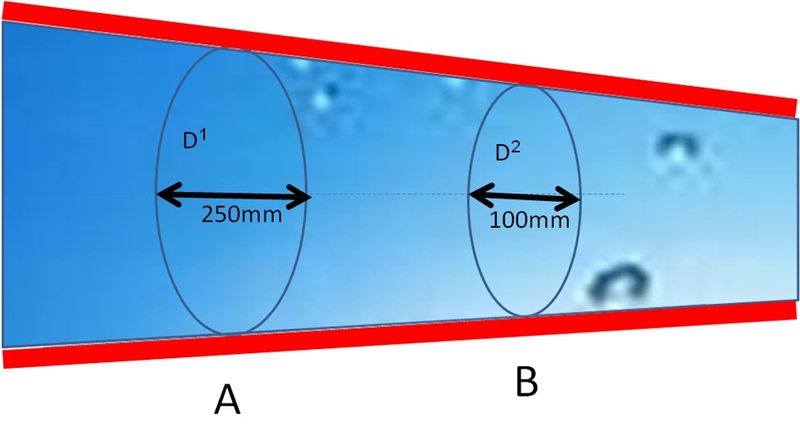 If the manometer readings are 800mm and 200mm, what is the flow ?